My Canon 5D Mark II won’t power up, why? I had just finished uploading some images to a hard drive and showed up at a job and the camera would not power up. I switched batteries and still nothing. I ended up using a back up 5D to start and finish the job but getting used to the smaller LCD wasn’t making things easy. I sent the camera back to Canon and remembered the last time it took about a week to get it fixed. I was told about Canon’s Professional Services (CPS) for pro photographers. I signed up for it in the morning and I showed up at the repair center later that afternoon. They asked for my membership number and instantly gave me a 20% discount. There are a few things you will have to do to qualify and they have different tiers with higher discounts so if you’re a full time working pro it’s something to look into. They called me the next day said it was ready to be picked up, the repair costed about $140. It was minor issue of the circuit board that connects to the power supply getting loose. Less of a serious issue this time around, the last time I forgot to click a link in the email they sent out to me to ok the repair so it took one week longer plus shipping on my end. 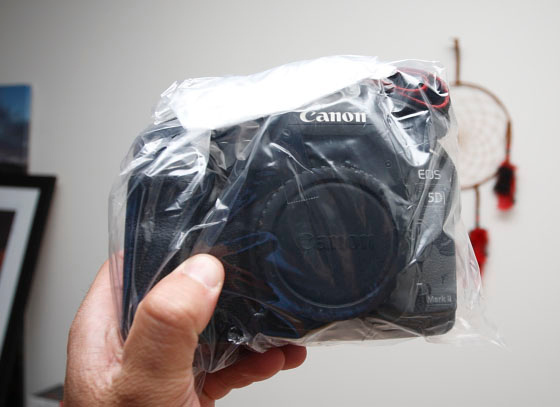 Here is a link to my last repair summary of the 5D Mk II. Better service with the CPS, I must say! Thank you Canon! This entry was posted on May 3, 2011 at 8:05 pm and is filed under Uncategorized. You can follow any responses to this entry through the RSS 2.0 feed. You can leave a response, or trackback from your own site. It seems that this problem is becoming quite common fromwhat I’ve seen on the internet, it’s just happened to mine! Shouldn’t Canon issue a recall on all MK2 5D cameras and do this repair for free? That would have been nice Robin! I bang up the camera quite a bit so it wasn’t surprising to have something loose in there. Even been asked if it was a refurbished model, it’s just worn from use.